The caterpillar's hatched into butterflies! Yesterday ZooLab visited us. Barry brought with him some fantastic mini-beasts, reptiles and an amphibian. We had a brilliant time and learnt so much about all the creatures we saw. We got to touch most of them and even some very brave children had a hold too! This week we have been finding fractions of shapes and amounts. We have looked at halves, quarters, three quarters and thirds. Some of the children took on the role as teacher. They did a great job explaining to the other children in class how they found halves and quarters of different shapes and how they found different fractions of an amount. Well done Wrens! Look what we found on a mini-beast hunt! 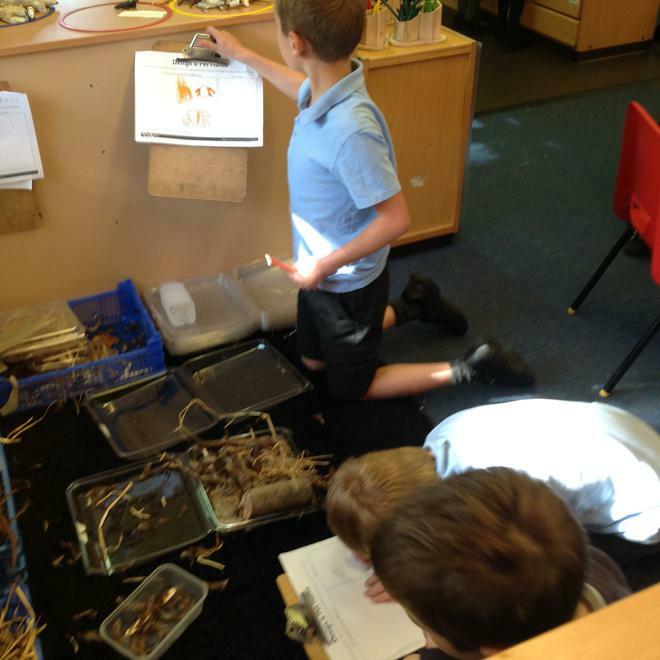 In science we were investigating how far and where snails would travel. We set three snails on a log at the back of the school field, with a dot on their shell so that we could identify them. After an hour we went back to the field to see where they had traveled to. We could only find two of the three snails. One had moved 40 cm towards the long grass and the other had moved over 2 metres! When we went back the following morning we couldn't find any of them! Look at our caterpillars! They have eaten all their food and now they have crawled to the top of the pot. They have formed a chrysalis around themselves and now we have put them in the butterfly hatching net. Hopefully in a week or so they will emerge from the chrysalis as painted lady butterflies. Before we went on our mini-beast hunt we got our eyes hunting ready by trying to spot 10 objects you wouldn't find outside normally. They were big and small and it took a while but we found them all! On Wednesday 18th April we went across to the churchyard to hunt for mini-beasts. 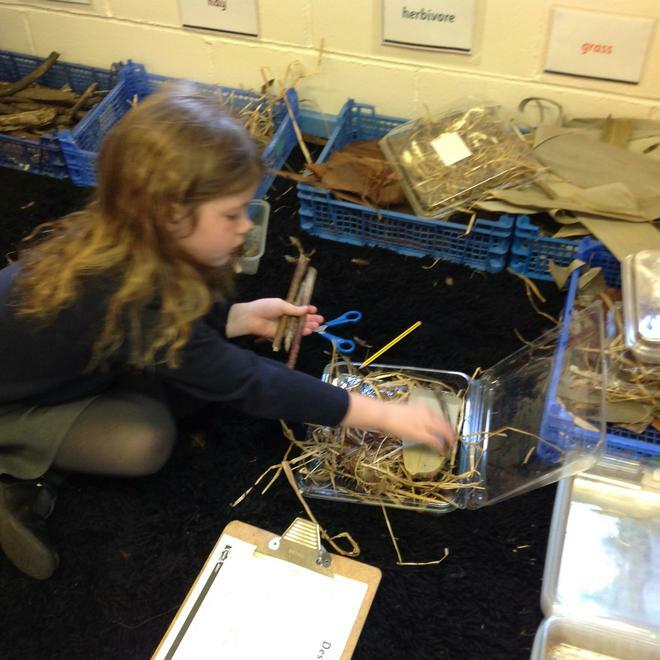 We found lots of different creatures living there, even a frog! 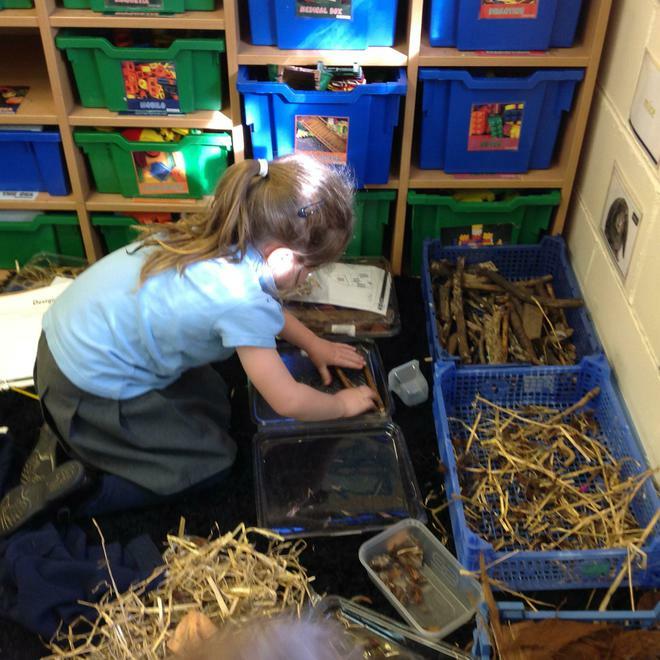 We made mini-beast homes and we plan to visit again in a couple of weeks to see if any mini-beasts have moved in! In English last week we listened to the story of Little Red Riding Hood. 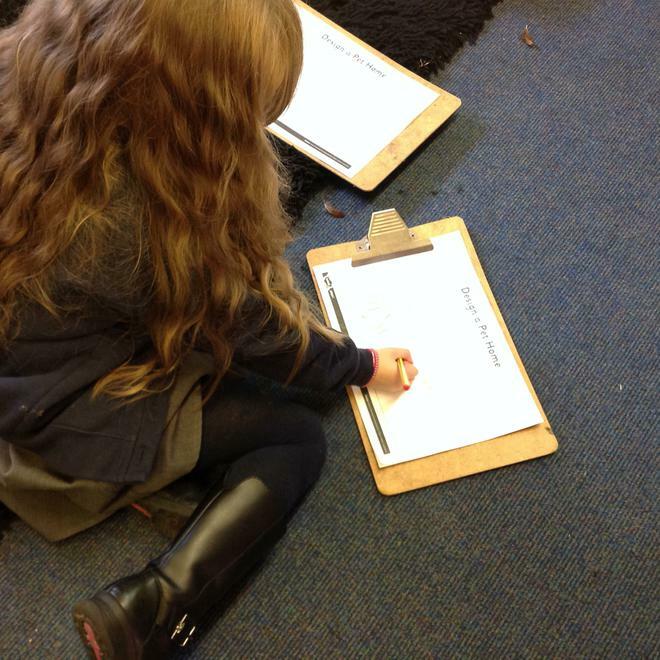 We then changed the characters in the story to make our own. We then had a visit from the world famous author 'Pavlov Rusedski' who came to tell us all about his book based on Little Red Riding Hood called 'Jack and the Dragon.' He was interviewed by Mrs Smith. 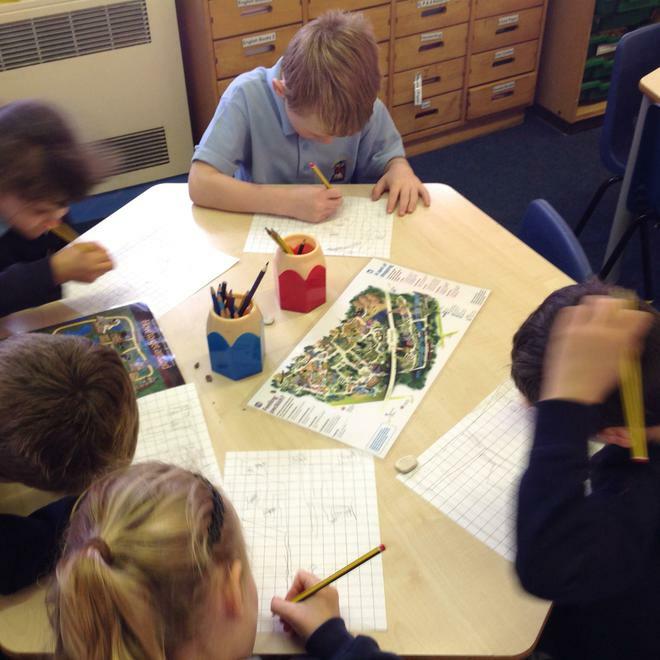 Before we wrote our own versions of Little Red Riding Hood we drew story maps, told our story on the phone to our friends, were interviewed about our stories and worked on improving boring sentences into super sentences. All this hard work paid off and some amazing stories were written. Well done Wrens, what great writers you are! A visit from Annie's new puppy Digger! 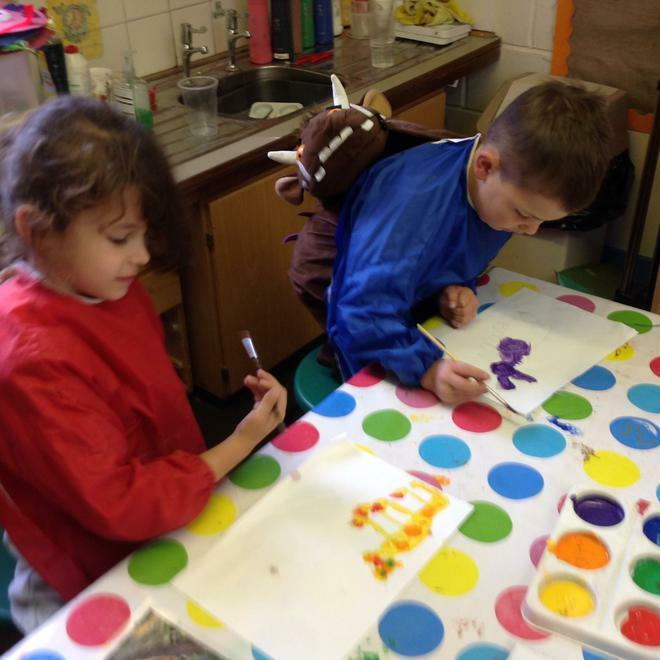 Some of the learning taking place in the Wrens class this week, Friday 9th March. 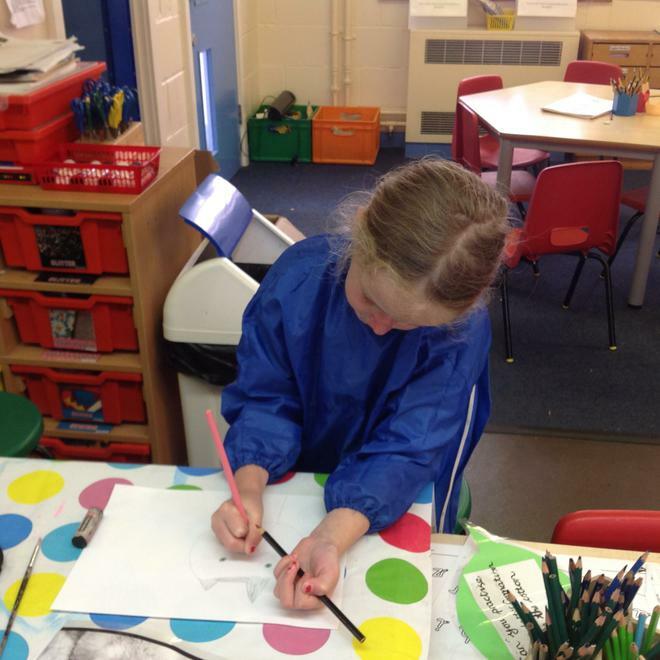 We have been making information booklets about the planets, making alien masks and headbands, designing posters of the famous astronaut Neil Armstrong and using junk materials to make space rockets! 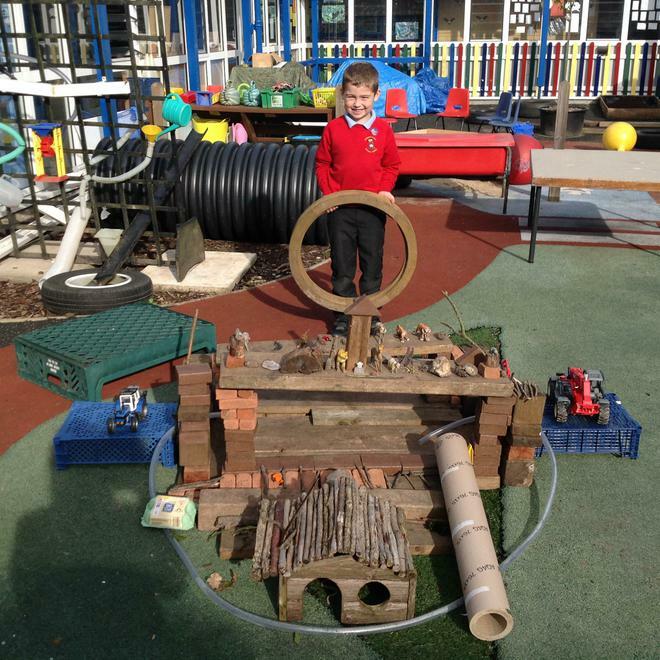 Making a space obstacle course and using, moulds, scoops and rakes to make different landscapes. 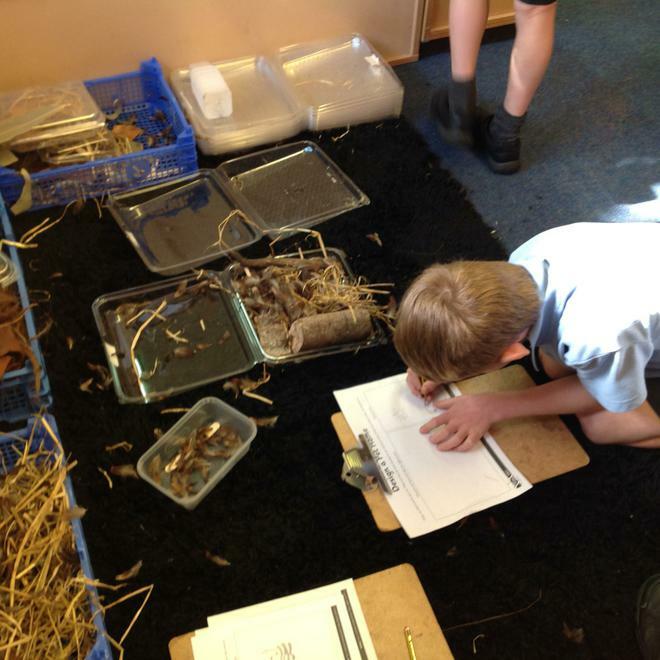 This afternoon in science we explored the samples collected from the alien crash site. We described what they looked like, how they felt and other scientific properties. We used some great vocabulary including, transparent and opaque. Today in maths we added a two-digit and a one digit number crossing the tens barrier. We have to remember that if the ones column made more than ten we needed to exchange the 10 ones for a tens stick. We worked really hard and are getting more confident with this! 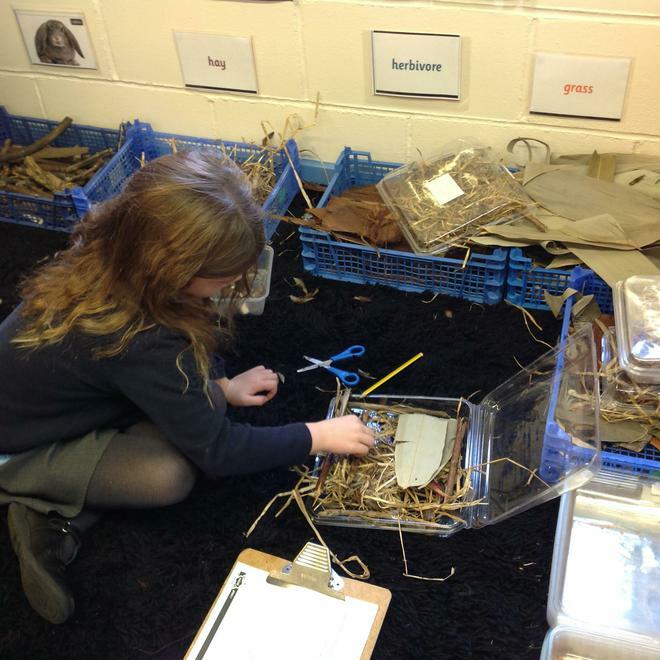 What a busy afternoon the Wrens had. 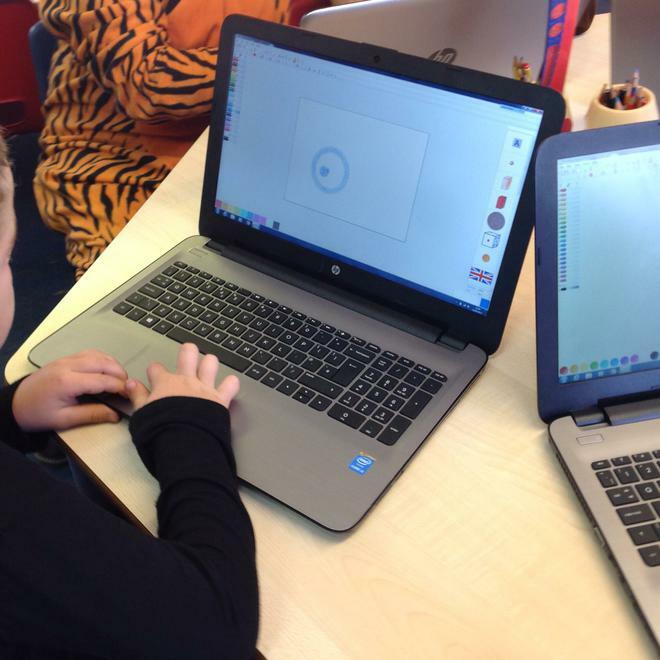 We painted our crocodile, cleaned out the home of our pet snail and discovered some eggs, weighed, made dens, sorted and organised, made 3-D shapes out of plasticine and used the laptops to write about our favourite zoo animals. Phew! Well done to the Wrens. You made it! We got to the top of the hill and down again. A great effort. On Wednesday we focused on communication without pens or pencils. We started the day by playing team games that focused on talking to each other. 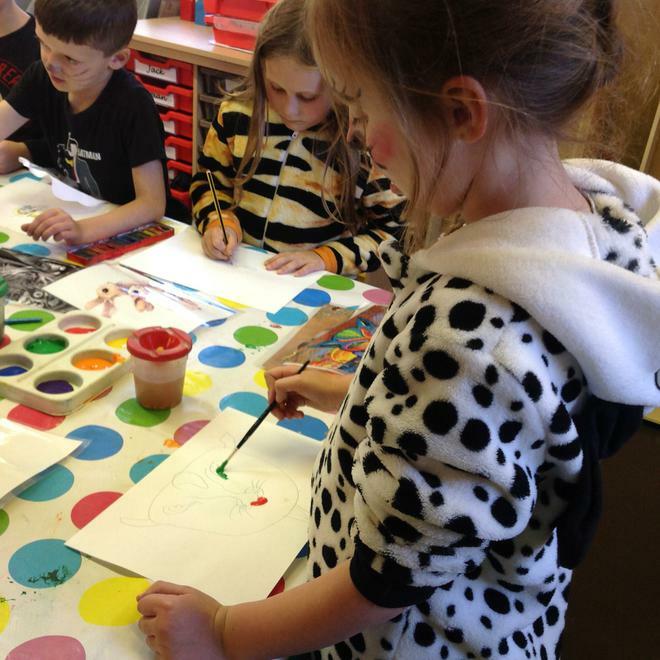 We then took part in activities in our classrooms. 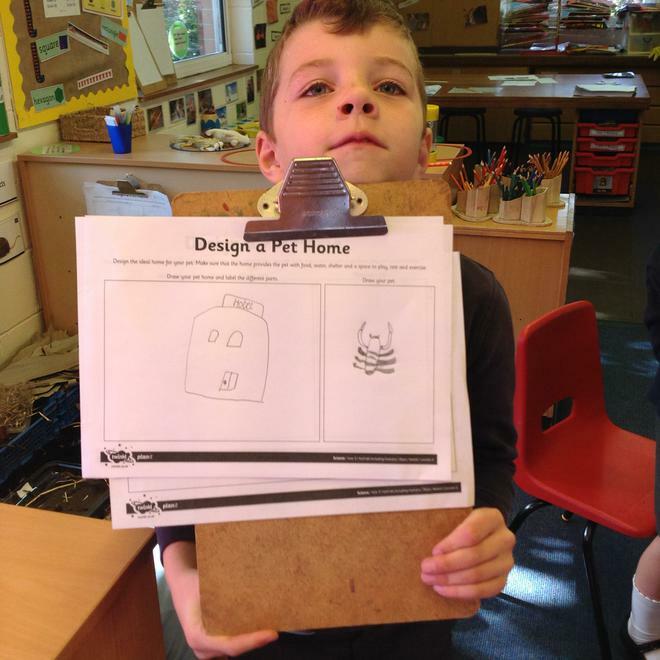 In Wrens we had to describe shapes and objects. We had a go at making 3-D shapes using lollipop sticks and plasticine and clixi. In English we had to describe objects to our group using adjectives. What fun we had! 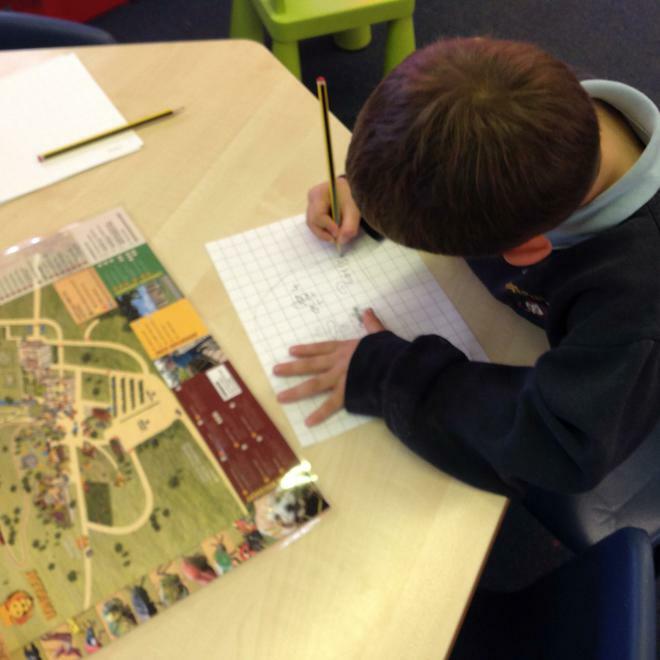 Some of the year 2's have been working really hard adding and subtracting two two-digit numbers using tens and ones. They have been exchanging and repartitioning! Well done! 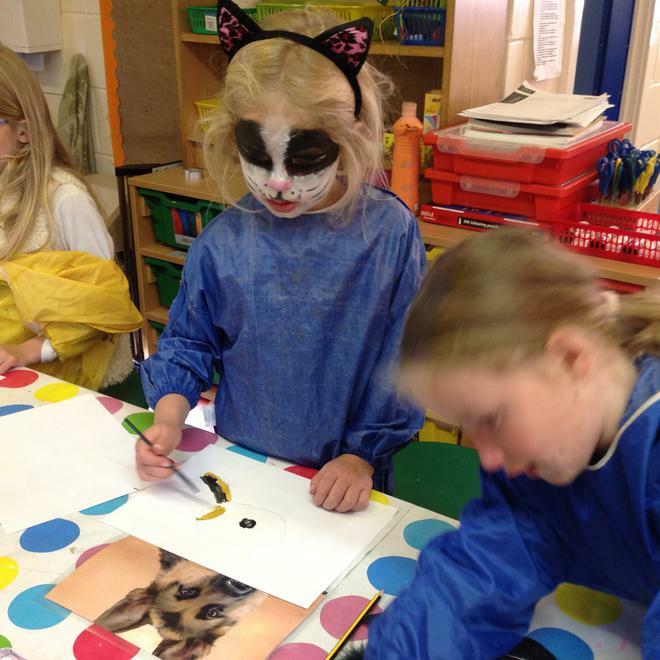 Fantastic topic work relating to our topic Paws, Claws and Whiskers. The children have worked very hard on their clay model animals. They really took their time to add all the features and used techniques we have practiced before. They then carefully painted them. We are just waiting for them to dry. 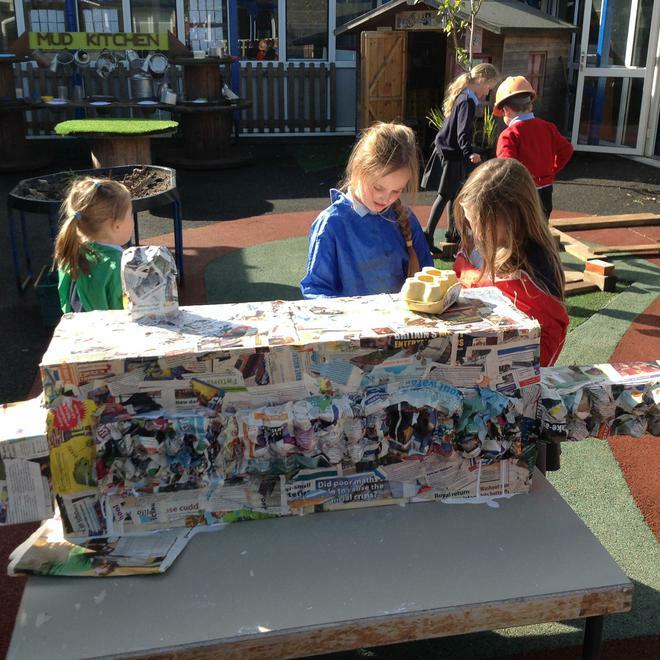 Our class junk model crocodile is nearly done...! This afternoon we found about the sculptor Henry Moore. We then used clay to make our own mini sculptures of animals. 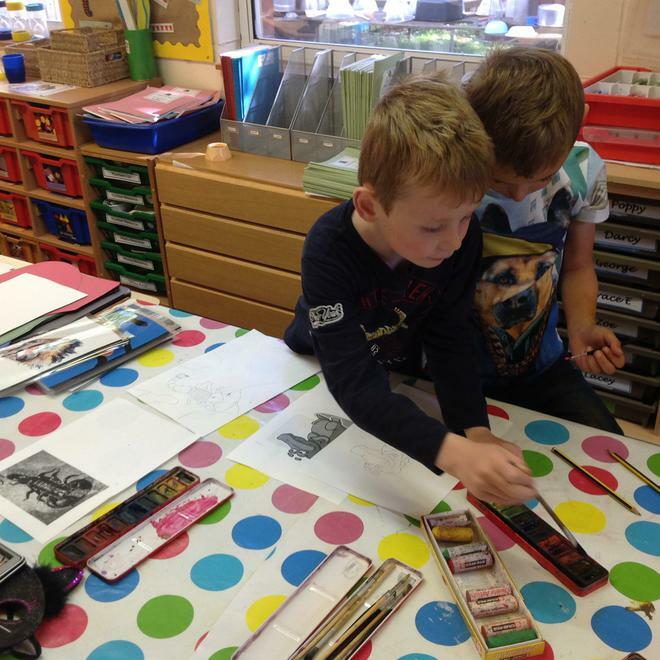 We have also been accessing the continuous provision linked to our topic. 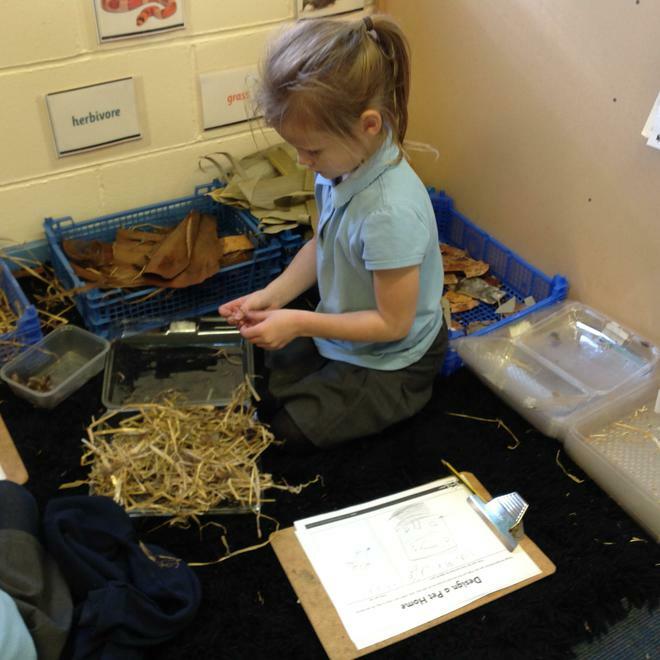 We have been weighing dog bones, bird seed and nuts, we have designed and made pet homes and outside we have begun to make large scale animal models...photos to follow soon! 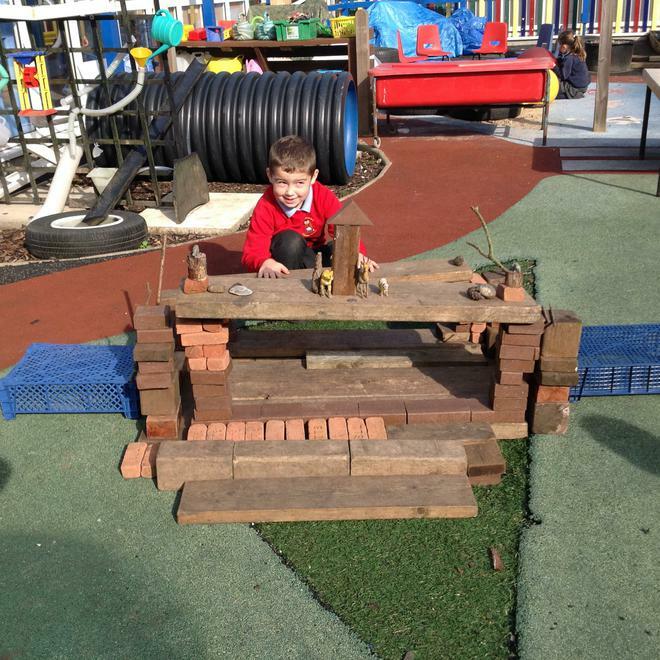 The children have been busy in the mud kitchen preparing some delicious cakes for the cafe they created as well as looking after poorly pets in the vets and hunting for wild animals roaming in the quad! Little Ted, Mrs Butcher's dog, came to visit us. He was a little scared and timid but he liked having strokes when he got used to us! 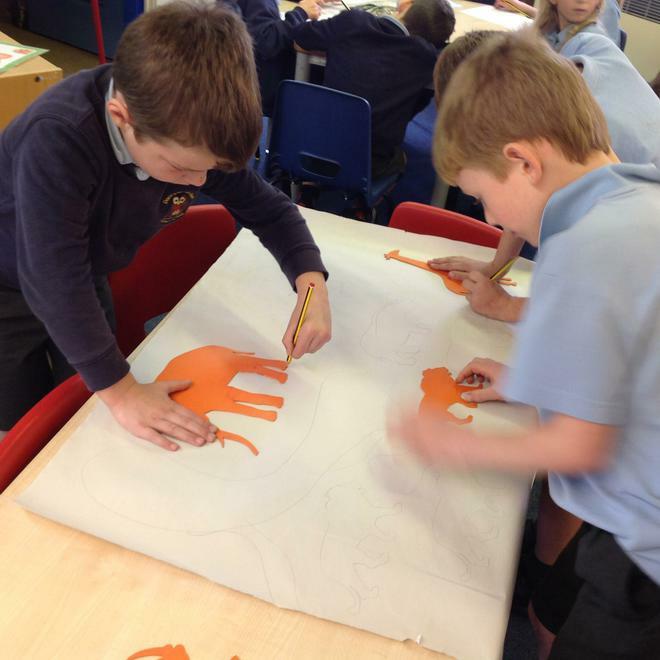 Last week we used images of animal fur and skin to create a tile to print with. First of all we drew the pattern onto the tile with a pencil. Then we used a roller to cover the tile in paint. We pressed the tile down onto the paper and rolled over it with a clean roller. 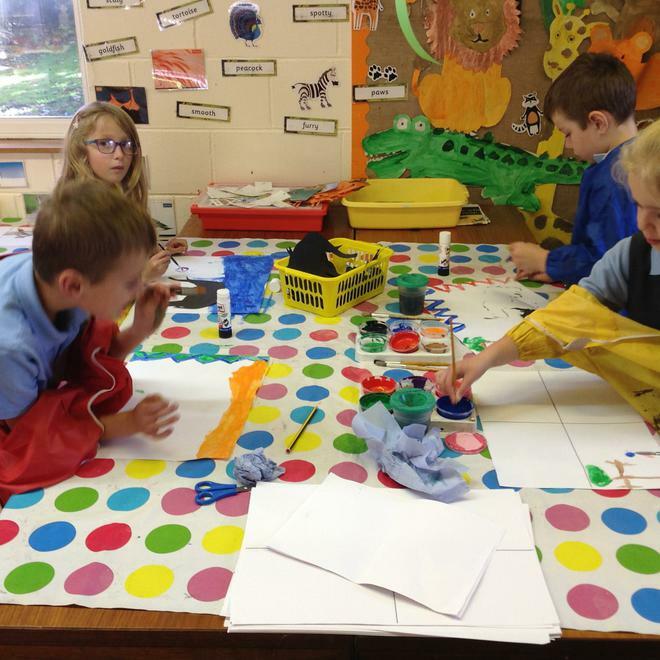 We then carefully peeled the tile off the paper to reveal our print. We repeated this until we have filled our paper. 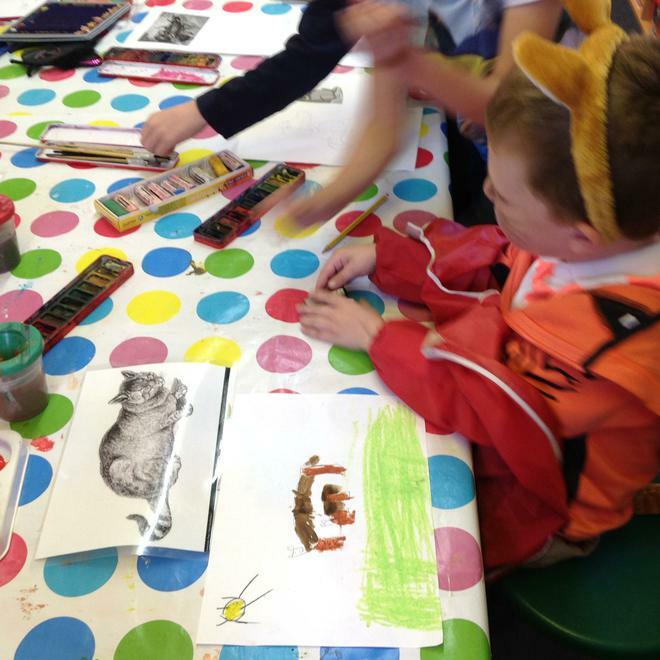 In the afternoon after Sarah and Laura has visited us, we painted pictures of different animals using a variety of media. We also used Revelation Natural Art to draw animals on the computer. A massive thank you to you all for your amazing donations for The Ark Animal Rescue Centre. They were enormously grateful!